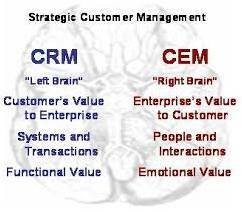 Customer Management is often considered to be art. You can be a witness to this exquisite display when you visit any store – be it a grocery or even a souvenir shop. The way a salesman tries to keep customers happy as well as entice them into buying a product forms customer relationship management (CRM). On the other hand, communication during the post-purchase phase is often referred to as customer engagement management (CEM). As it is commonly believed, a first impression can very well be the last impression. This is why most businesses exert proper caution when it comes to dealing with first-time visitors. All the welcoming gestures which go on into making them comfortable become a part of the CRM process. The next step, which is equally important, is the maintenance of proper relations with consumers when it comes to post purchase engagement and services. In this age of social media and internet, any negative publicity can severely pull your fortunes down. Thus, the CEM part becomes all the more crucial. It is imperative that both these aspects are used by the business simultaneously, which can often be a big ask. Is it really achievable? GladMinds cloud-based customer engagement software, makes this possible. Try and experience now!